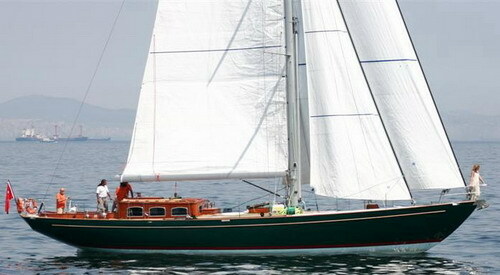 Classic styled yacht ANITTA was built by Coban Denizcilik, with design by Bill Dixon, the sailing yacht measures 19m (63ft) and boasts an eye catching jade green wood hull and graceful lines. Charter yacht ANITTA can accommodate up to 6 guests in 3 cabins, she is available to cruise the Turkish and Greek waters with a professional crew of 2. 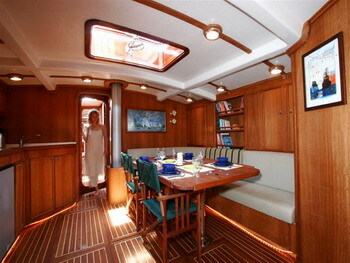 Sailing yacht ANITTA has a light airy interior, featuring traditional warm wood panels and teak and holy inlaid floors. The salon is spacious offering a generous settee and formal dining area on the starboard side, with the galley space on the port side. A navigation station is raised in the dog house, with additional seating and idyllic views. S/Y ANITTA offers 3 twin cabins with upper and lower bunks for up to 6 guests, each cabin is air conditioned and boasts en-suite facilities. 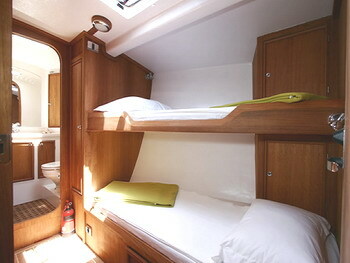 The crew has a separate cabin with en-suite facilities. 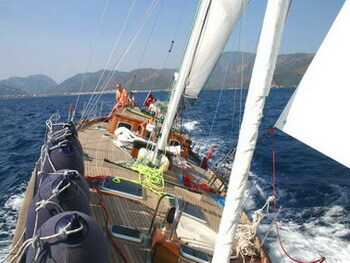 On her fine teak decks, sailing sloop ANITTA has plenty of areas to relax. 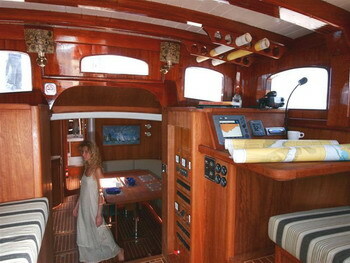 The cockpit offers surrounding wood combing making it ideal for children, guests can dine alfresco under the optional Bimini. 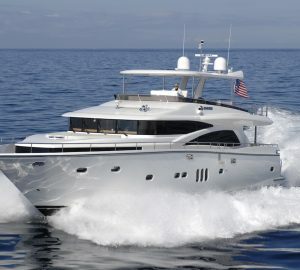 Walking about the yacht is effortless, thanks to the wide decks, generous 5m (16.5ft) beam and safety railings. 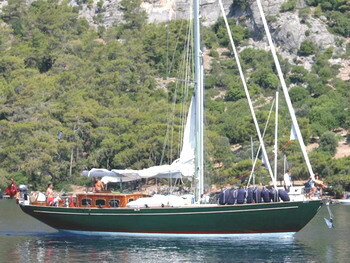 Charter yacht ANITTA is powered by 1 x 240hp Yanmar engine, she is capable of average speeds of 8 knots. 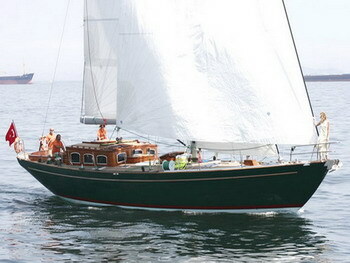 Sailing yacht ANITTA is the ideal choice for those who appreciate classic design in a modern time. 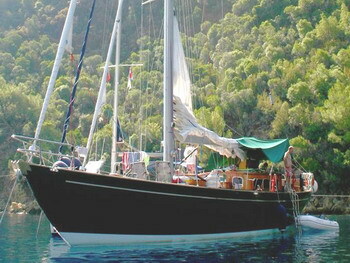 The ANITTA sailing yacht offers 3 fully air conditioned en-suite cabins for up to 6 guests. 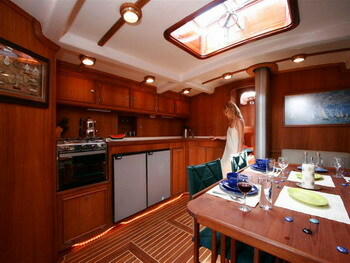 Each cabin has upper and lower bunks and boasts ample natural light from overhead hatches and ports.